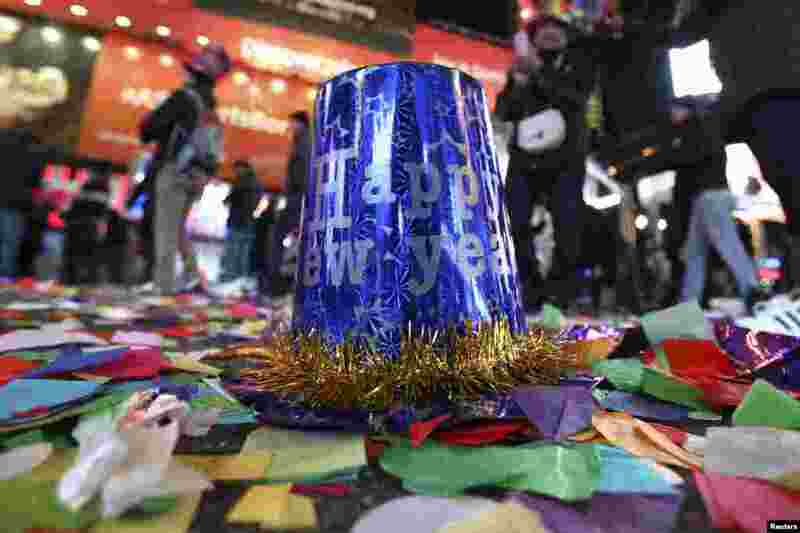 1 A party hat lies on the ground after New Year's celebrations in Times Square in the Manhattan borough of New York. 2 Smoke billows from the Address Downtown Hotel in Dubai in the aftermath of a huge fire that engulfed several floors of the building. 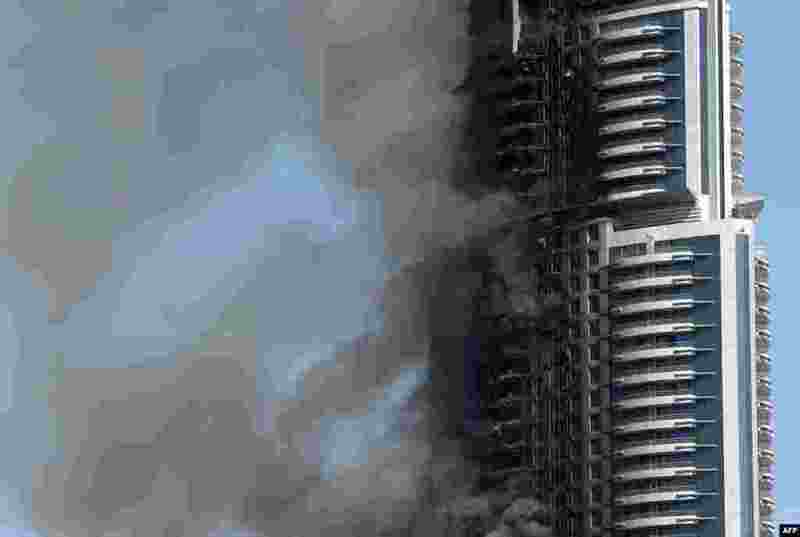 The fire ripped through the luxury Dubai hotel late on Dec. 31, 2015. 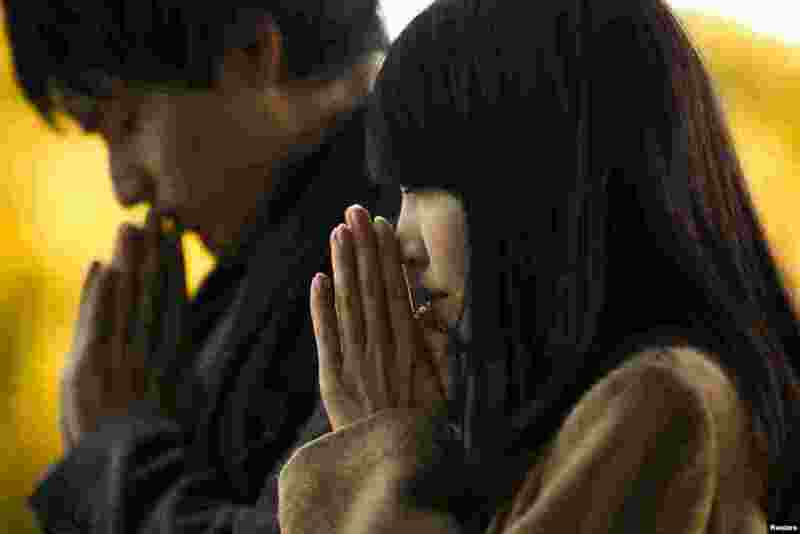 3 People pray on the first day of the new year at the Shinto Meiji Shrine in Tokyo, Japan. 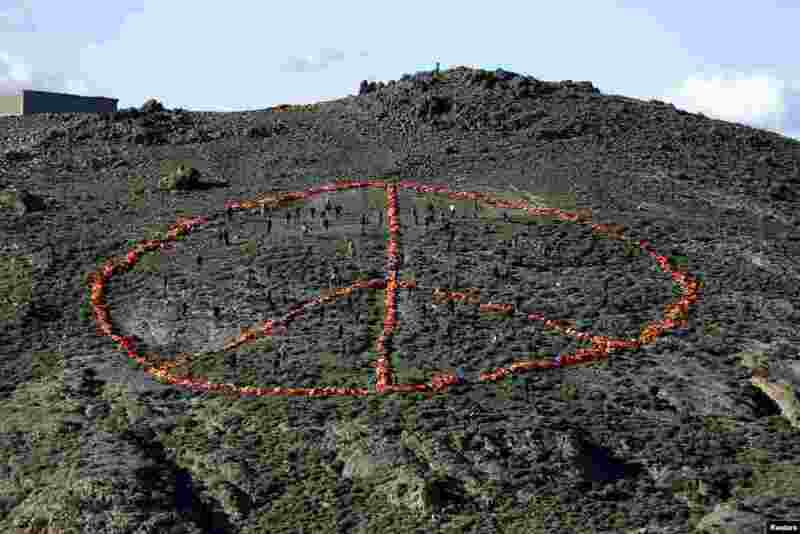 4 Volunteers from non-governmental organizations (NGO) arrange more than 2,500 discarded lifejackets, used by refugees and migrants, in the shape of the peace symbol on the Greek island of Lesbos.